Griffin is currently living in Wooster, Ohio with his wife Rosy and three children. Griffin graduated from The Ohio State University with a B.A. in Criminology and the University of Texas at Arlington with a M.S. in Social Work, before becoming a Licensed Independent Social Worker. Griffin’s career includes over 20 years of experience in social services and youth counseling. He worked for the Village Network in Wooster for 10 years, including three years as Regional Director. In addition, he worked as a Social Worker for Father Flanagan’s Boys Home/Girls and Boys Town in Nebraska and as a Social Worker for the Forth Worth Independent School District. Griffin was recruited to serve as President of the Wooster Area Chamber of Commerce in 2008. Today, the Wooster Area Chamber of Commerce is 106 years old and has a membership-base of 800 members. The Wooster Area Chamber of Commerce strengthens the economic base and appeal of the Wooster area by providing services that support the success of its members while encouraging active community leadership. The three tiers supporting this mission include workforce preparedness and education, legislative advocacy, and community development. The Wooster Area Chamber also supports a growing young professional’s organization. Griffin was selected through the national search process after the Board engaged Waverly Partners, LLC as its executive search firm. The search committee was attracted to his professional experience, leadership, and ability to collaborate well with others. 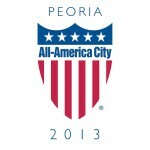 Griffin will assume the Peoria Area Chamber President role beginning on February 10, 2014.